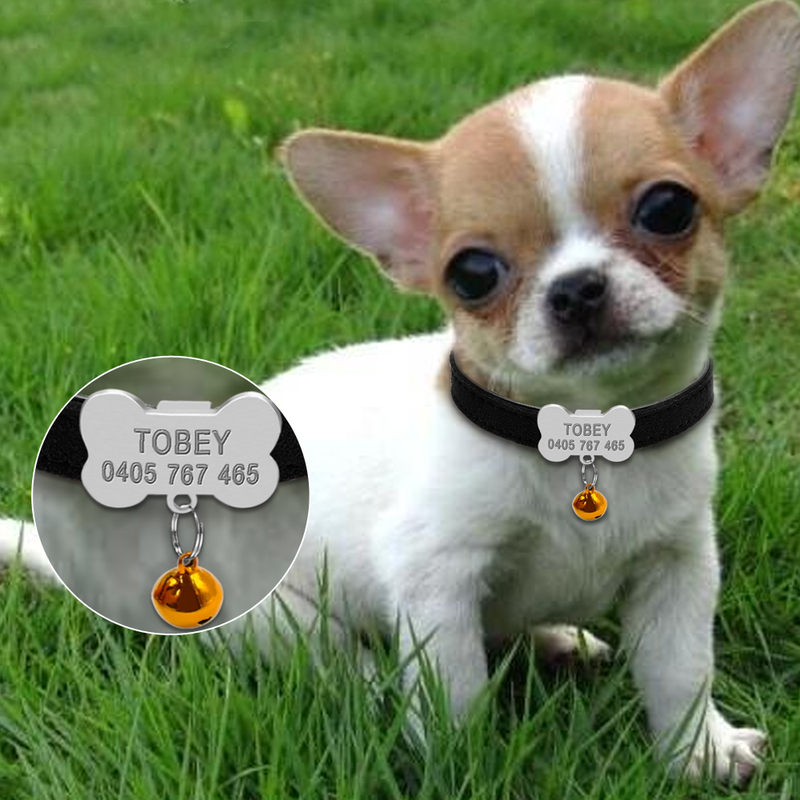 Note: When you place an order, please leave us a message what should we engrave on the bone tag, could be dog name, phone number , etc. Collar class. Myagonky. The medallion is written as requested. Traveling 1,5 months. Recommend. Good product! Very long gone! All super, it is fast, well done! Very good purchase, as in the image. The necklace is very pretty and quality nice discounts. Recommended. Now is quite fast. 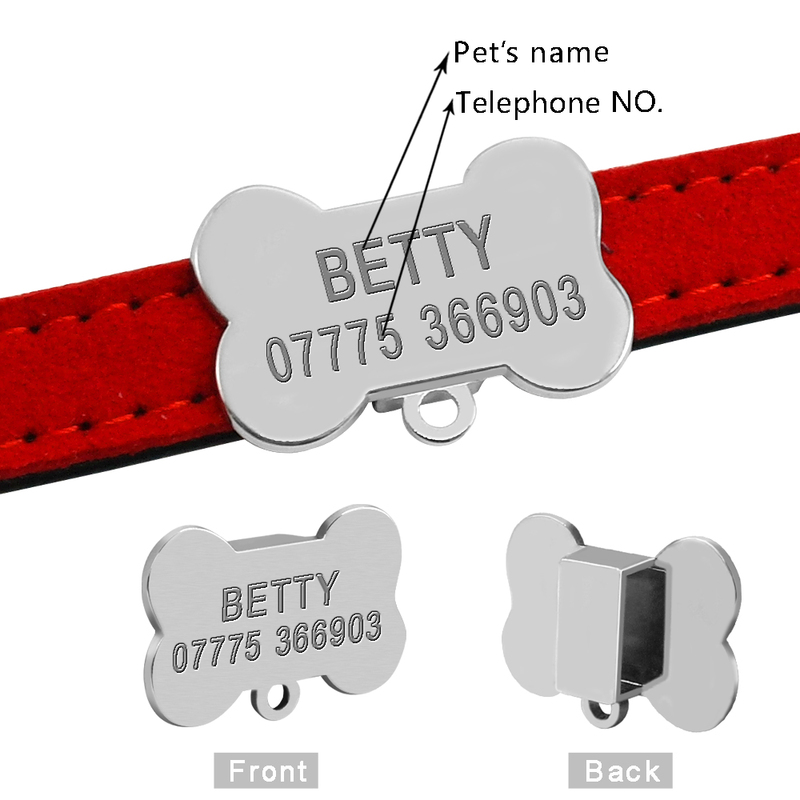 Collar is made perfectly, engraving letters. Thank You!! Very soft. The Jack Russell Terrier 6 kg-size, on the middle hole. Measured a taxi-small. Everything is fine! Collar good quality! Recommend! 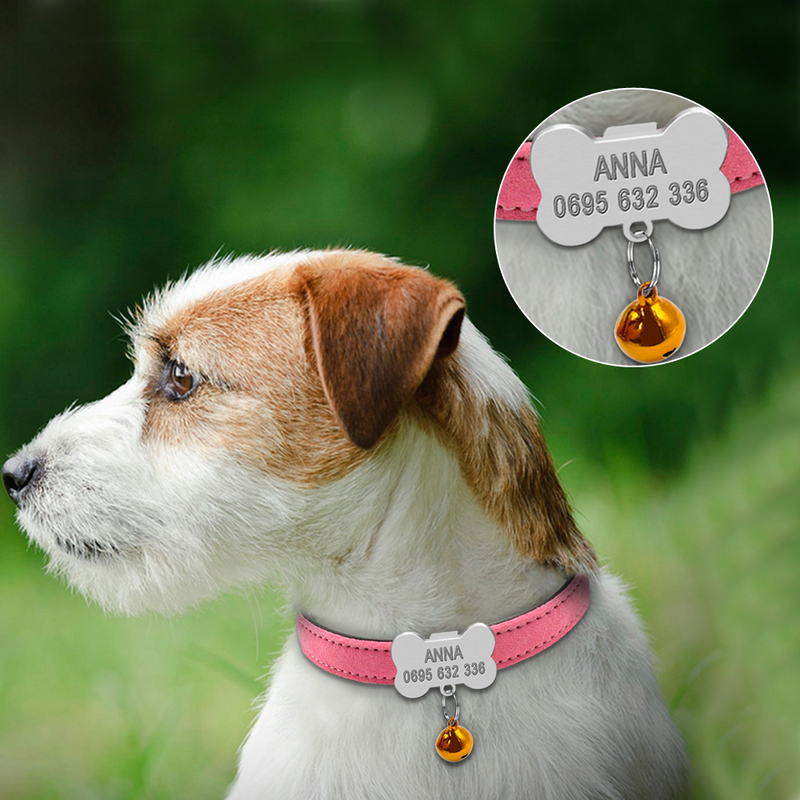 Great collar) looks gorgeous, engraving is perfect! Items like, went almost a month in Moscow. Dog collar and writing class, do not expect. Ordered a few stores and this goods is the coolest. 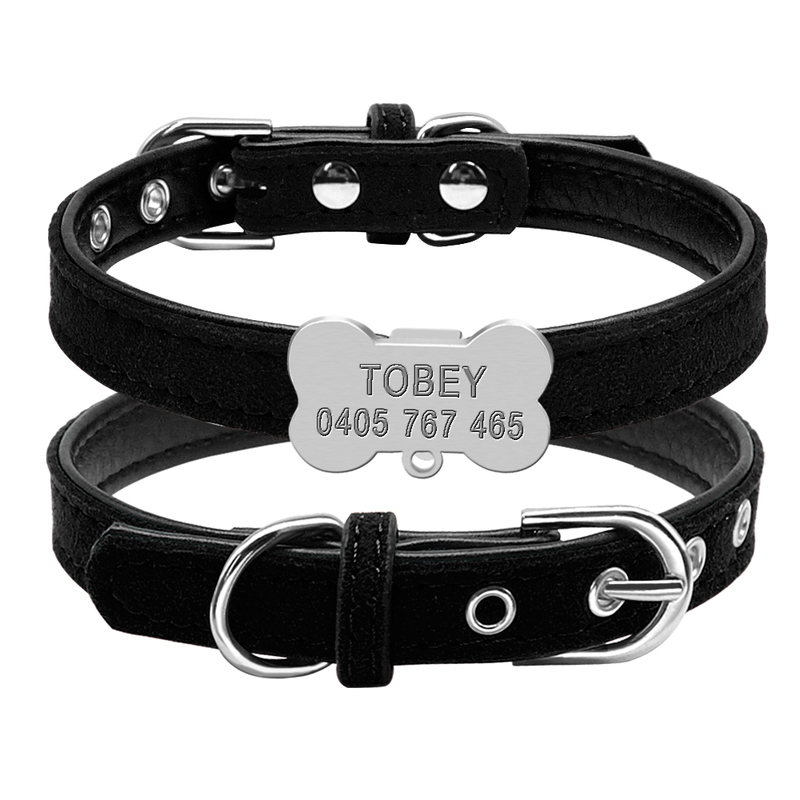 Lead is very good and a clear sign with the name of your pet! 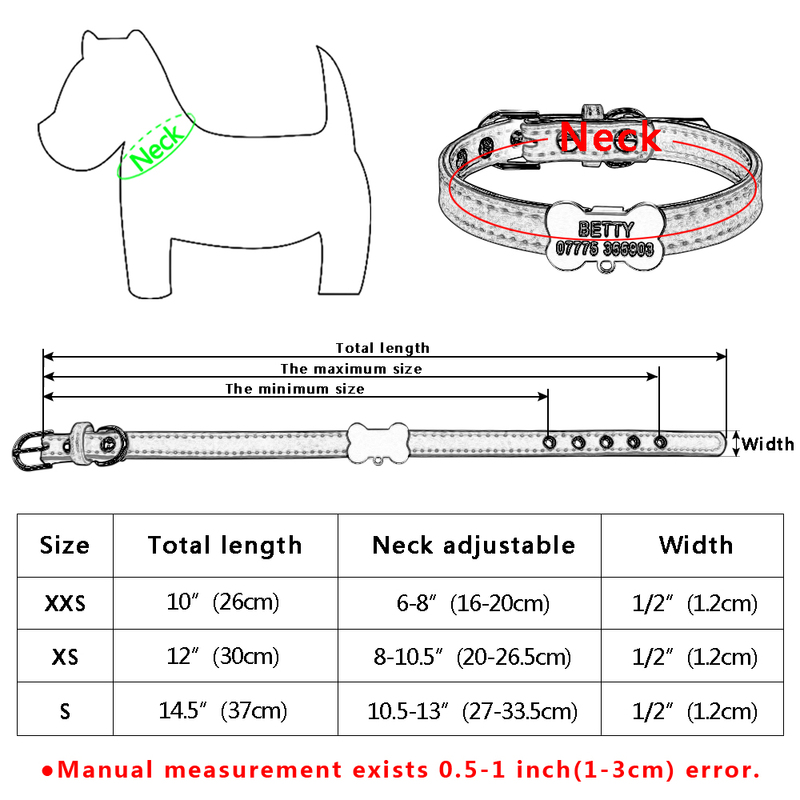 But I unfortunately hoped that the size is suitable for my dog midium, but no! (Sorry that did not write the information Diameter in inches. Great! Wrote, as indicated in the comments! The юниора бивера 2 kg took XS, buttoned almost the narrowest. Moscow 20 days, with track number. 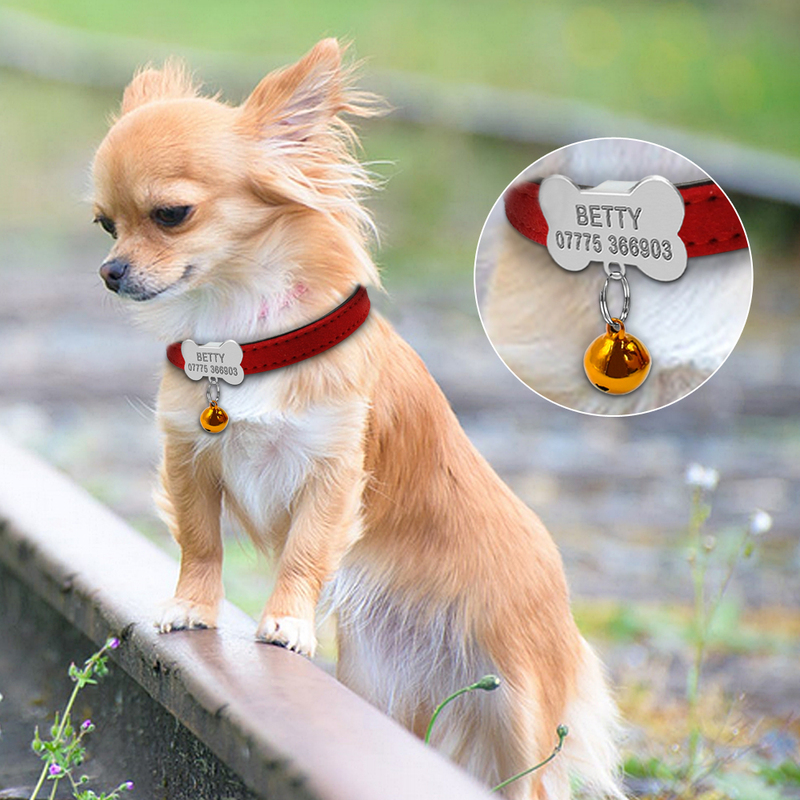 Dog Collar 271 rubles. Black, size S. Fit puppy 3 months, French бульдожка. Buttoned on the first hole and left more 4 PCs. I see many ask as tell store about the Russian text?!?! 1) the shopping bag, 2) when paying, write in the comments English text. 3) after payment, write a message in your order, just to we want russian letters. PS. Install app Yandex translator and communicate the Eng. Lang. And yet, activate brain. Last month to Serov, name in Russian, wrote a personal message to the store, all done right, thank you very much! B. novgorod was sending 20 days. the Jack Russell small come. name, number, all right. Super dog collar, the jack Russell 3 months with stock, can and then will be the norm. Came quickly. Thank you very much! Class! Great collar fine execution of orders, great store. Shipping expected long. Great collar!! The second time! For The First time with the wrong size and the cat was small. Now all successfully)) S for Cat. Engraving super! Made in English-like please!! Very satisfied!! THANK YOU!! Fast delivery!!! Thank You!!! Collar great, taking on the туделя. Recommend store. The small bone engraved sat there loose at, but can you there easy to fasten to making, beautiful engraved! 2,5 week about done. Thank you very much. Super Quality!!! so happy I ordered this!! they were exactly what I wanted them to be! thank you! The жетоне not Engraving and Printing, fear wears off, plus all the badge in small scratches. Collar is good. Collar like, the only thing wrong with size, the York 1700 is great. The store sent fast shipping 3 weeks. 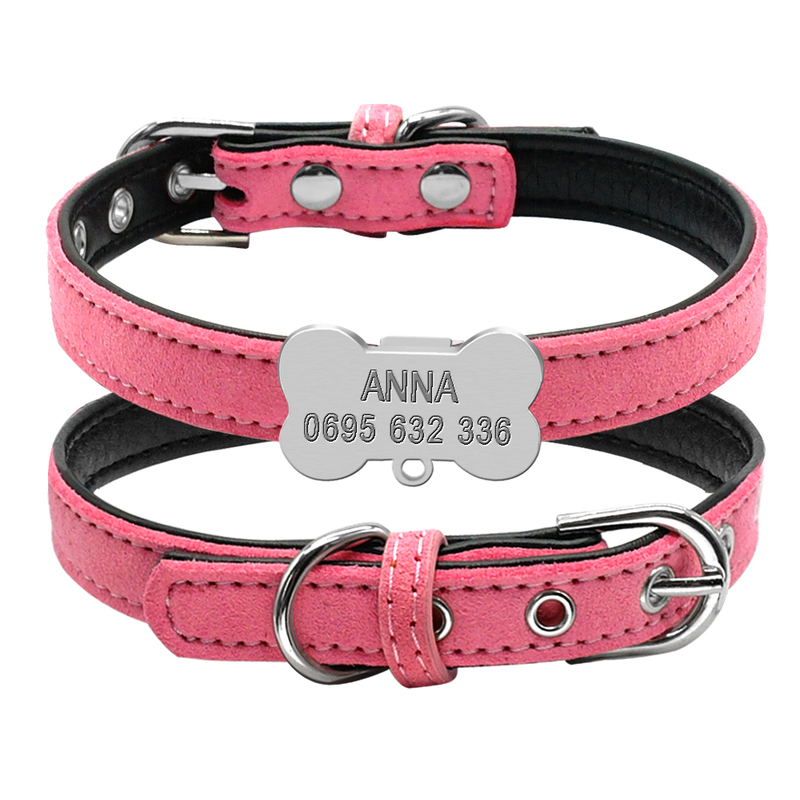 Chic collar, like a dog! Shipping Togliatti three weeks. sociable. Recommend. Very beautiful!! Order quickly deliver. The perfect size for my dog that is poodle median. The huesito with the name is correct and also has a barrel bolt for Hitch directly to the collar. Very friendly. The Summit)) label as ordered, not exactly the size, flat seams. Shipping broke all records, ordered 13.01 received 28.01. Will order again. Great, though, does not bring the bell. Pero the quality of the necklace and the sheet is amazing! Will buy. Thank You! (Asked Xs for my Yorkie small size). Beautiful although the carvings are justitos recommend a size more than usual. Cute recorded. Very beautiful, Texture soft like velvet, it is good for a collar petty, is a centimeter width.